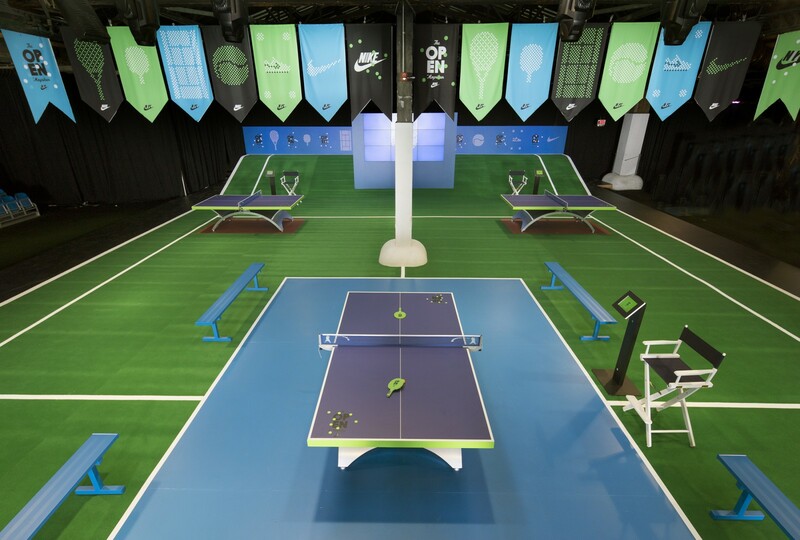 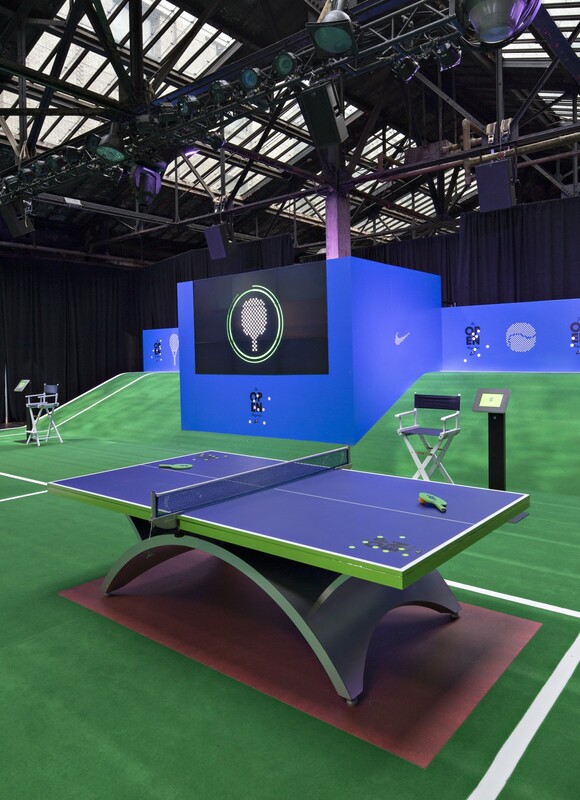 In conjunction with the Tech Pack environment at Moynihan Station, Nike asked WSDIA to create another space around the tennis / table tennis world. 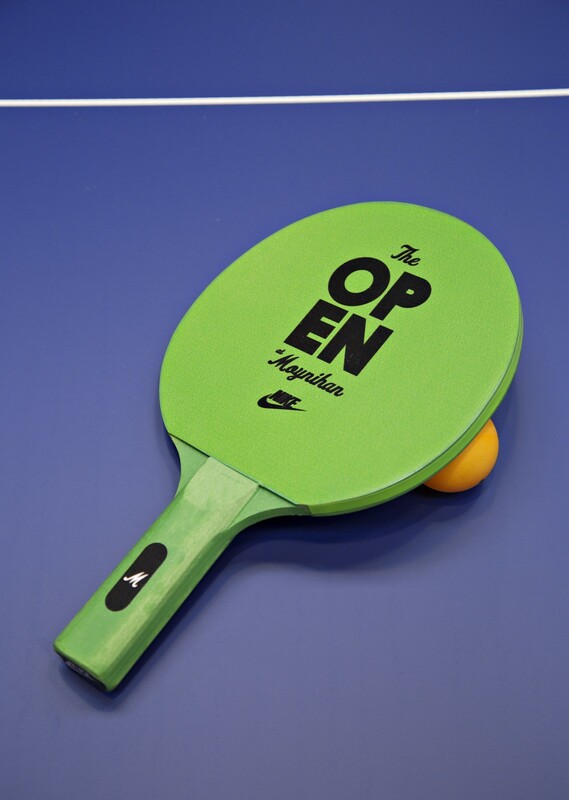 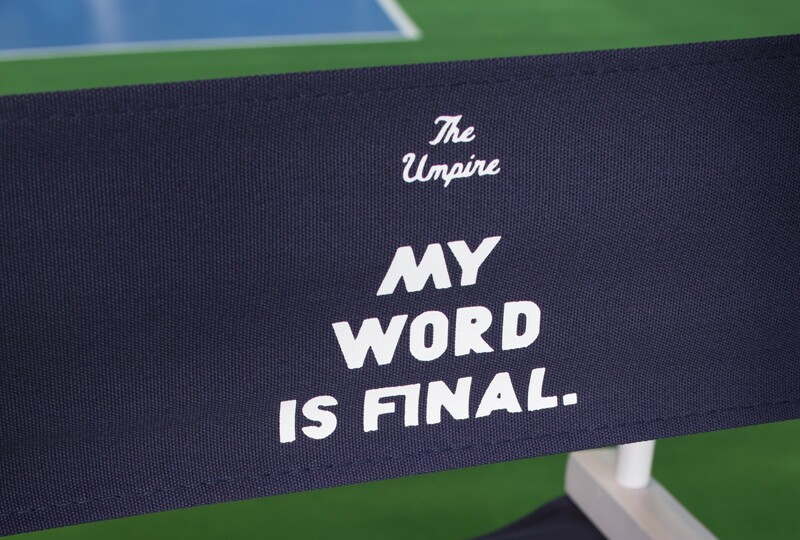 This was in correlation with the US Open in Flushing Meadows, Queens. 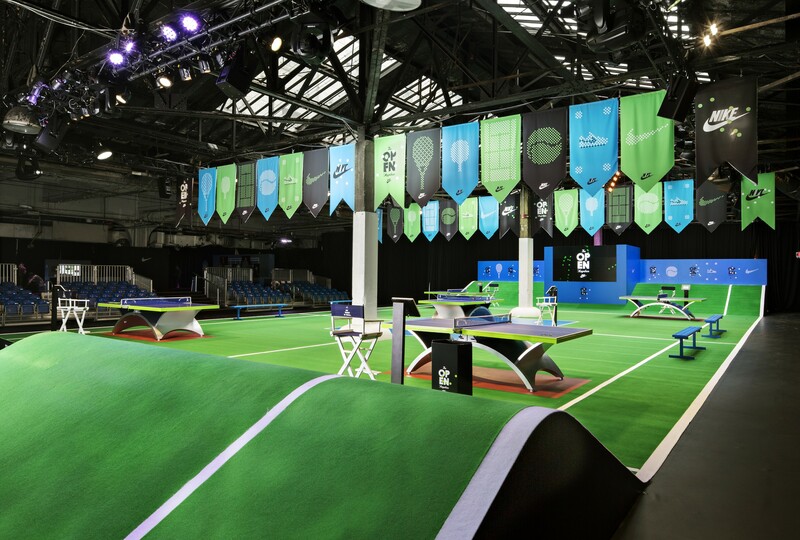 WSDIA created an ‘oversized’ tennis court platform that acted as playing field for an exclusive, elevated table tennis tournament. 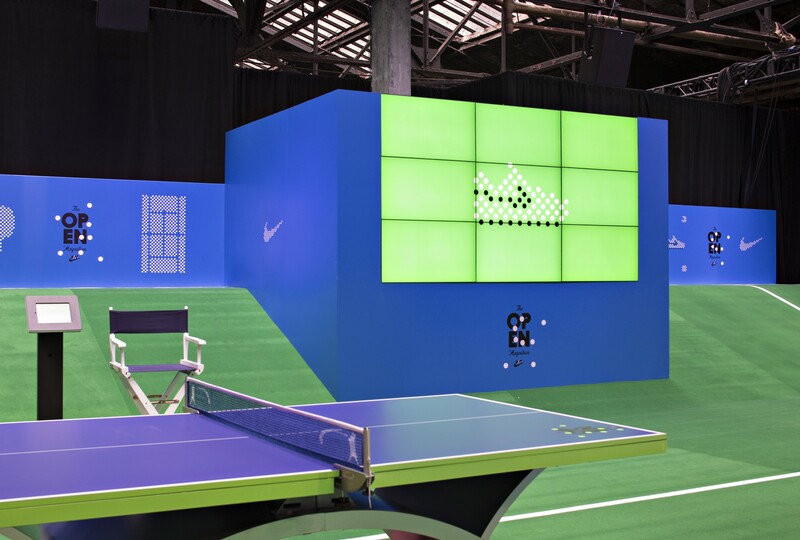 At the perimeter were bleachers, a gaming lounge, photobooths and practice tables. 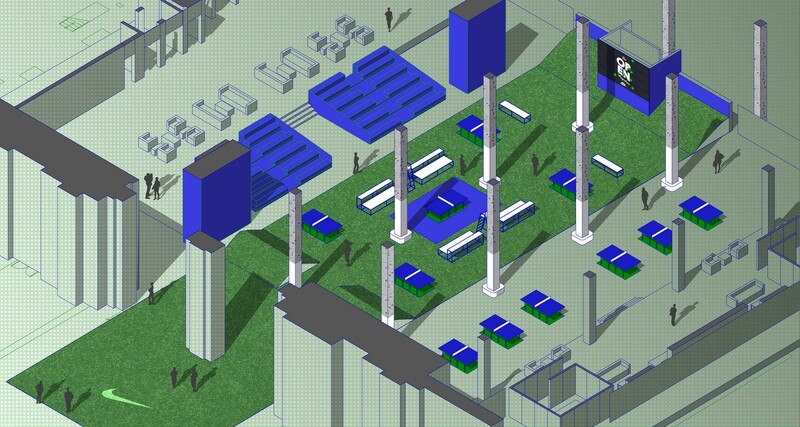 Along with the spatial aspects, WSDIA developed the branding and all graphic elements surrounding the event. 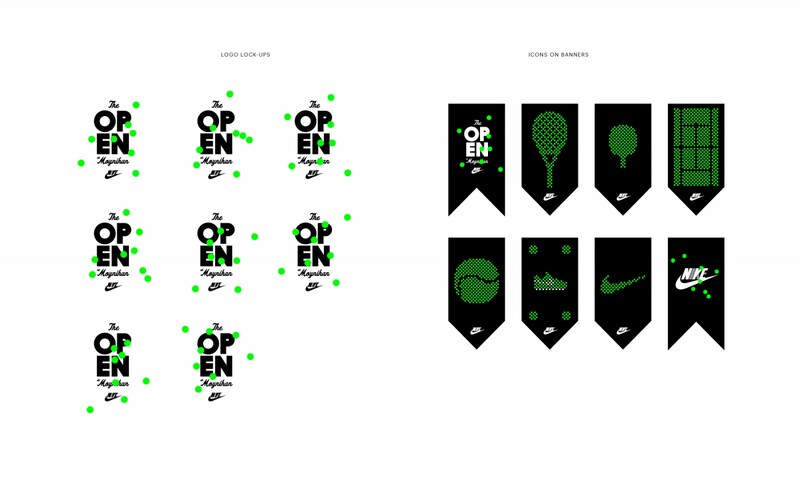 Related projects: Nike Tech Pack,	Nike World Basketball Festival.